US Secretary of State John Kerry continues his visit to Israel and the Palestinian Territories on Monday (and Tuesday) where he is holding talks with Israeli Prime Minister Benjamin Netanyahu and Palestinian leader Mahmoud Abbas. British Prime Minister David Cameron, meanwhile, will meet on Monday with his Spanish counterpart Mariano Rajoy in Madrid. In Chile, a team of investigators will exhume the body of Pablo Neruda to verify whether the poet did, in fact, die from cancer in 1973, or whether he was assassinated, as some claim. 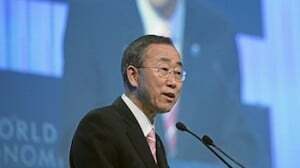 In Geneva, UN Secretary General Ban Ki-moon and the head of the Organisation for the Prohibition of Chemical Weapons will hold a joint conference at which the OPCW-aided investigation into claims of chemical weapons attacks in Syria is likely to be the focus. Finally, US Treasury Secretary Jacob Lew will be in Brussels for talks with key EU officials, at which the crisis in Cyprus and its potential impact on economic stability of Europe is likely to be discussed. On Tuesday, Jacob Lew is scheduled to continue his travel in Europe, with stops in Berlin and Paris for talks with his counterparts Wolfgang Schauble and Pierre Moscovici. In New York, the UN Security Council is scheduled to discuss the situation in the Central African Republic after the Seleka rebels took the capital Bangui, deposing President Francois Bozize. Iran will celebrate its National Day of Nuclear Technology. 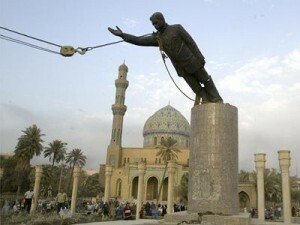 Tuesday will, lastly, mark the 10th anniversary of the toppling of the statue of Saddam Hussein in Iraq. 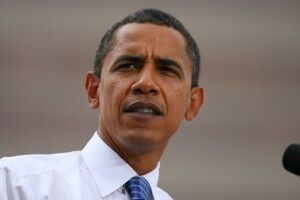 On Wednesday, US President Barack Obama will present his highly-anticipated budget proposal. Meanwhile, UK Foreign Secretary William Hague will host his G8 counterparts for a two-day meeting in London. Finally, back in New York, IMF Managing Director Christine Lagarde is scheduled to deliver a major address in New York City. Capital controls imposed in Cyprus in the wake of the bailout agreement and designed to prevent a catastrophic bank run are scheduled to be lifted on Thursday, after they were extended by a week. Most analysts expect them to be extended again. Italy, meanwhile, is scheduled to hold a sovereign debt auction, which will provide an opportunity to see whether the continuing political gridlock inside Italy and developments outside are rattling markets’ confidence in Europe’s fourth largest economy. Top US intelligence officials are scheduled to testify in the House of Representatives on Thursday about threats facing the US. 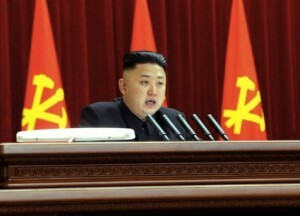 North Korea will probably feature heavily given recent developments. Separately, US Secretary of Defense Chuck Hagel and Chairman of the Joint Chiefs General Martin Dempsey are testifying at Senate hearing on Thursday. On Friday, the nine South African police officers charged in connection with the death of a Mozambican taxi driver who was filmed being dragged behind a police van are due back in court. John Kerry will be in Seoul for talks with counterparts as he begins the Asian-leg of his seven-nation trip. Once again, North Korea will dominate. Lastly, in Dublin, Eurogroup finance ministers are due to meet, with Cyprus and the Memorandum of Understanding on the bailout agreement top of the agenda. Finance Ministers from all 27 EU member-states will meet that afternoon and on Saturday. 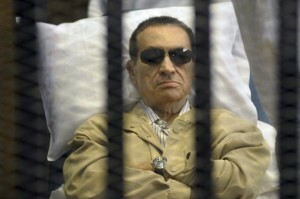 On Saturday, the retrial of former Egyptian President Hosni Mubarak is scheduled to begin in Cairo. North Korea will again be on the agenda when John Kerry pays his first visit to Beijing since taking over from Hillary Clinton. Venezuelans will on Sunday return to the polls to elect their President in the wake of Hugo Chavez’s passing on March 5. His appointed successor, former bus driver Nicolas Maduro is expected to defeat opposition candidate Henrique Capriles. In Cameroon, for the first time there will be an election for 70 members of the country’s 100-member Senate, with the remainder selected by President Paul Biya. On Sunday, Canada’s opposition Liberal Party is scheduled to appoint its new leader. There has been much excitement about the candidacy of Justin Trudeau. Finally in Berlin, a radical new party called Alternative for Germany – which recommends the ‘orderly dissolution’ of the Euro – holds its founding congress.